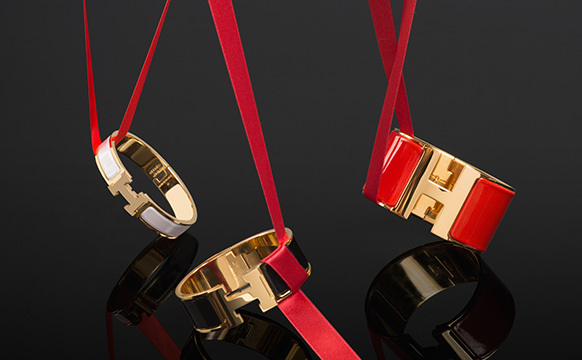 The HERMÈS Clic Clac bracelet is an iconic piece in the designer world. 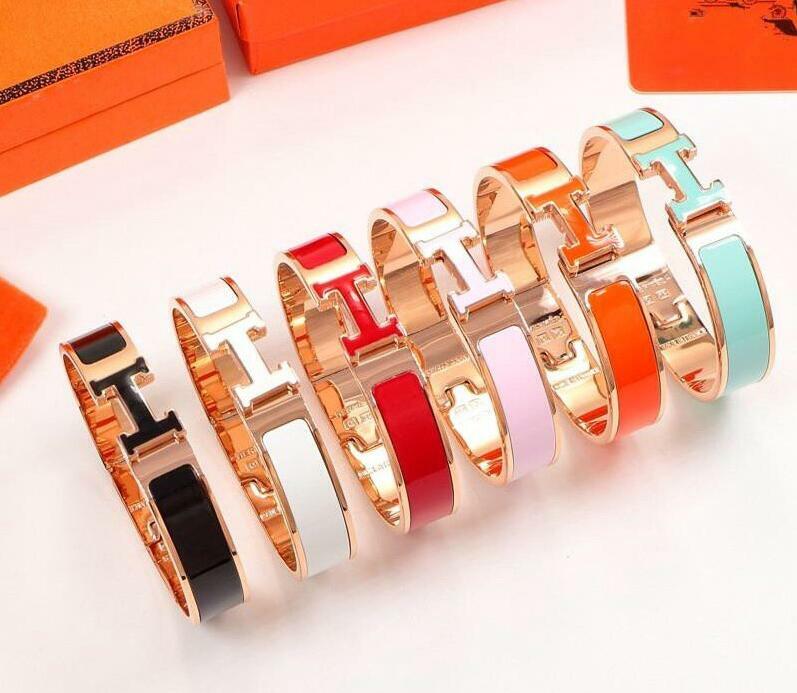 The bracelets are elegant, timeless, and instantly make a statement. Everyone is loving them. 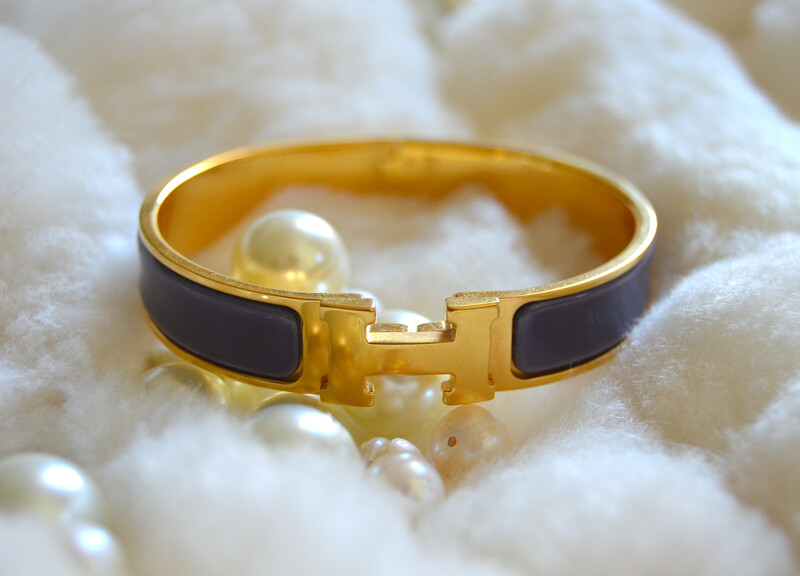 Clic Clac bracelet is a must-have when it comes to accessories by the French luxury label. 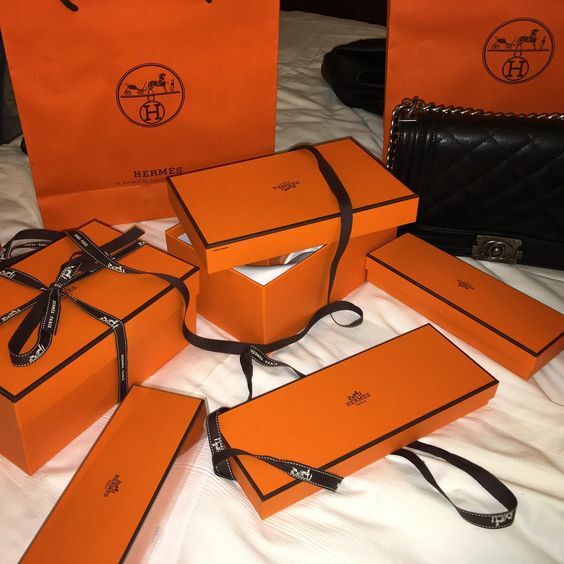 The most famous bloggers use it daily, combined with a watch or even with some other HERMÈS bracelets. 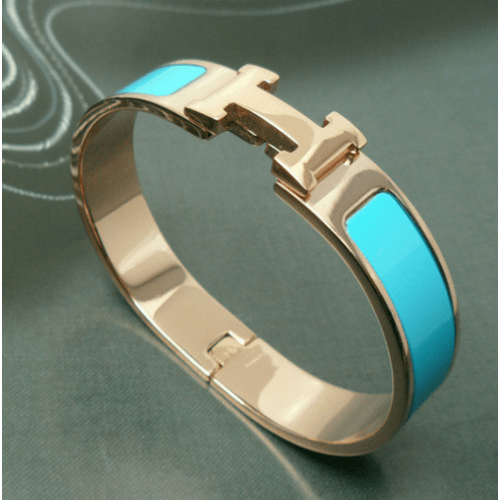 In three sizes — narrow, wide and extra wide — and an array of enamel and metal color combinations, it’s the kind of piece that makes you want to amass a collection. 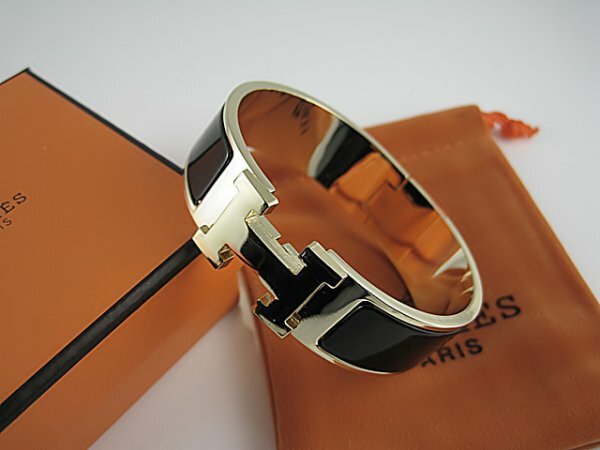 This bracelet, as all the products of HERMÈS, is a little bit pricey ($600), so a lot of people can’t afford it and they search a replica version of it. 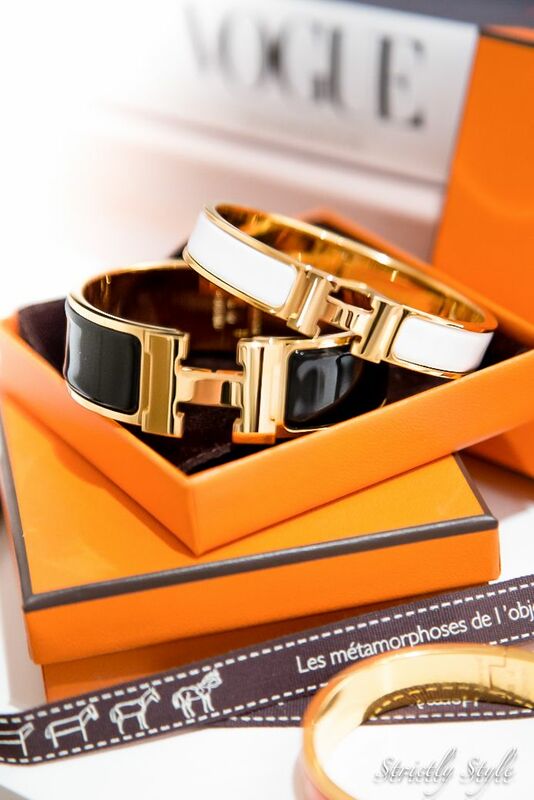 Below you can find some easy ways to identify an authentic HERMÈS Clic CLac. 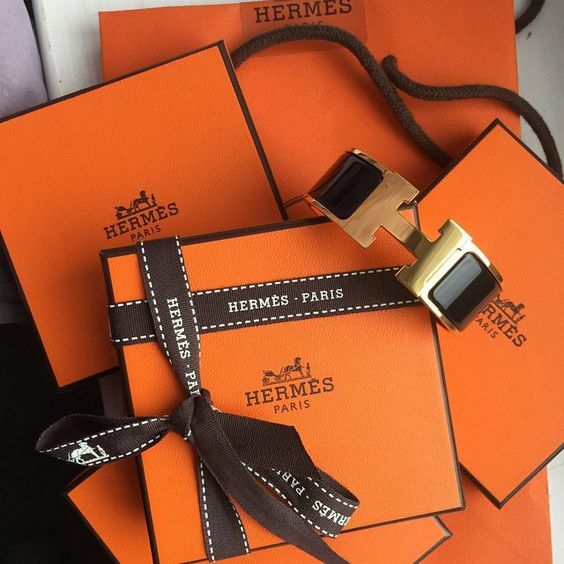 The authentic HERMÈS box is smaller than the fake one and has a bright orange color. 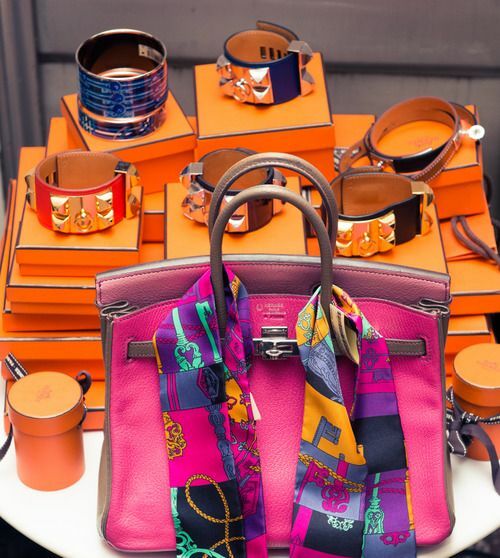 Even the HERMÈS print and the logo is different as shown in the picture below. Observe the space on the sides of the H. If you can stick another leg of the H in that space, it’s a fake! 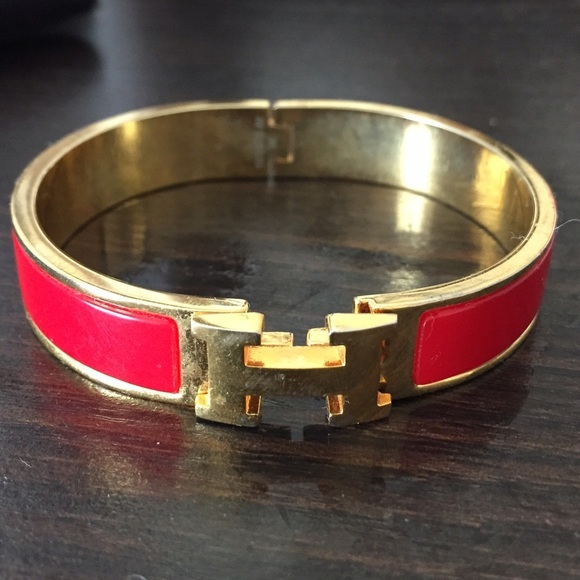 This is a very common error among some counterfeit H enamel bracelets. Another thing you must note is the item’s weight, it should be heavy, and shouldn’t feel light in your hand. 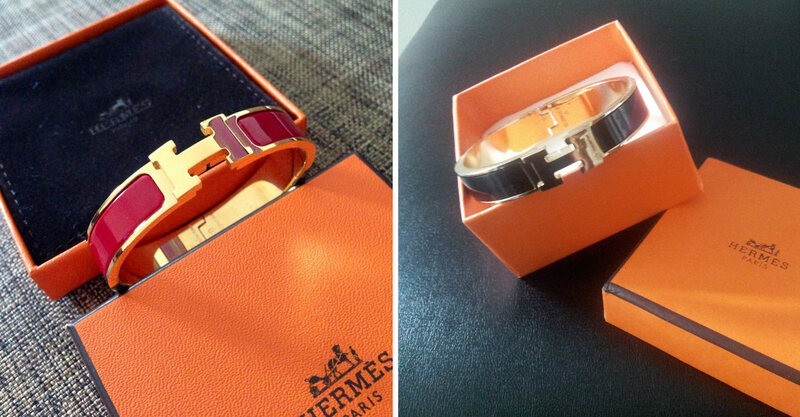 Fake Hermès bracelets tend to run smaller than authentic pieces. Cross-reference the dimensions with those listed on Hermès’ website. 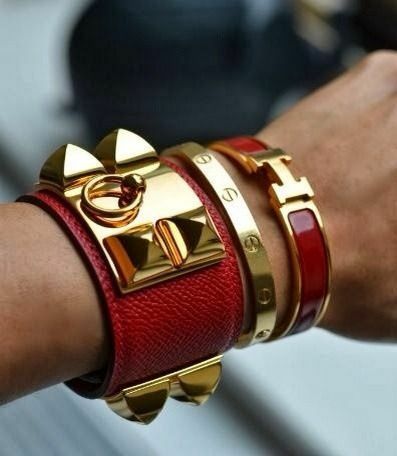 Also, double-check the weight of the bracelet. Because bogus bangles are made of far less expensive materials (like plastic or resin), forgeries are noticeably lighter. 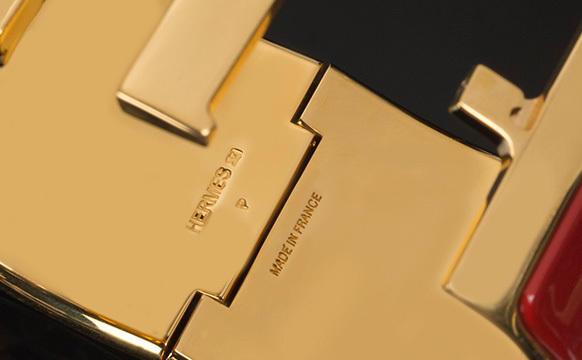 “Hermès” should be printed in all caps on one side of the interior of the hinge. Beneath it, you will find a single capital letter that indicates the year in which it was made.